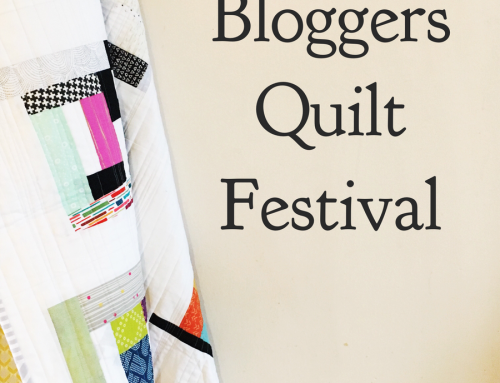 Bloggers’ Quilt Festival – Winners! It has been an incredible couple of weeks! 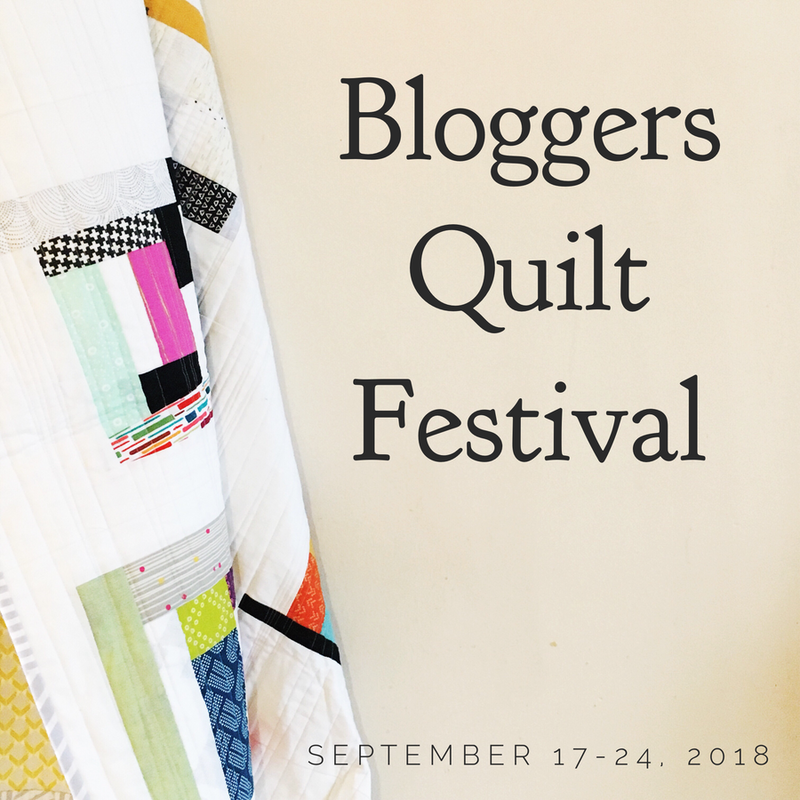 Admiring quilts, making new friends, not to mention all the new projects started!I’m so excited to share the winners with all of you – thank you all for taking the time to nominate and vote for your favorite quilts. I know that all the quilters are honored to have been nominated, and the category winners will be ecstatic! Know that I’ve made copious notes about what went well, and how things can be improved for the fall. I hope you all agree with me that the new elements are a lot of fun! Again a special thanks to our sponsors, and their generous prizes! The top three Viewer’s Choice Winners are: Geta, Jednoiglec, and Lori! Congratulations ladies!! Click their names to see their winning quilts. Geta has won a $75 Gift Certificate to Pink Chalk Fabrics! Jednoiglec has won a 10 yard pack of Mistyfuse and 2 1/2 yards of hand dyed fabric of her choice from Vicki Welsh! Lori has won a Beginner Combo Kit from Day Style Designs Quilt Shop! The winner of the Favorite Baby Quilt category, Jessica, has won a fat quarter bundle of Mod Squad from Fabricworm! The winner of the Favorite Throw Quilt category, Charlotte, has won a $50 Gift Certificate from Fat Quarter Shop! The winner of the Favorite Bed Quilt category, Darci, has won a $50 Gift Certificate from Fat Quarter Shop! The winner of the Favorite Group/Bee Quilt category, Laura, has won a Fat Quarterly subscription from the crew at Fat Quarterly! The winner of the Favorite Two Color Quilt category, Becky, has won a Quilt Journal, a set of Note Cards, and an Eco Tote from Pattern Spot! The winner of the Favorite ROYGBIV (color wheel) Quilt category, Kati, has won a $50 Gift Certificate from Fat Quarter Shop! The winner of the Favorite Applique Quilt category, Heather Joy, has won a Moda Layer Cake from Piece N Quilt! 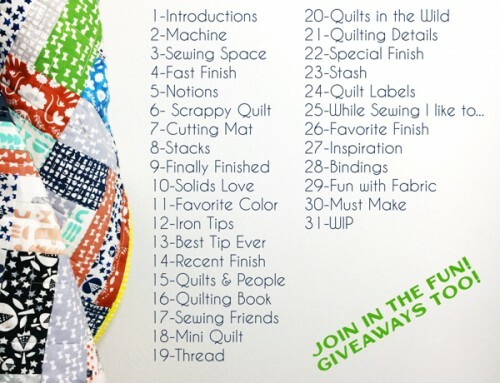 The winner of the Favorite Pieced Quilt category, Marianne, has won a Thread Kit from Aurifil! The winner of the Favorite Hand Quilted Quilt category, Stephanie, has won a $50 Gift Certificate from Martingale! The winner of the Favorite Home Machine Quilted Quilt category, Cat, has won a bundle of A Walk in the Woodsfrom JAQS Fabrics! The winner of the Favorite Professionally Quilted Quilt category, Jenny, has won a Trace ‘N Create Quilt Template-Dresden Collection and a Trace ‘N Create Quilt Template-Lone Star Collection from Nancy Zieman! The winner of the Favorite Quilt Photographer category, Sonia, has won a $40 Gift Certificate from Canton Village Quilt Works! The winner of the Favorite Art Quilt category, Debbie, has won a $50 Gift Certificate from Martingale! The winner of the Favorite Doll/Mini Quilt category, Cindy, has won a 1 year membership to The Quilt Show from This-N-That Fabrics! The winner of the Favorite Wall Hanging category, Amanda, has won a Beginner Combo Kit from Day Style Designs Quilt Shop! Please click over to see the winning quilts, and congratulation them if you have a moment! Now for the random drawings! Everyone that participated in the festival is eligible to win, and those that left their entry number in the nomination form have an extra entry! Riley Blake is offering a box of goodies from Riley Blake headquarters! Winner is Patti! Moda is offering a fat quarter bundle of Vintage Modern! Winner is Lily! Fabric Shoppe is offering a $40 gift certificate! Winner is Steffi! STC Craft is offering a collection of beautiful quilt books, Denyse Schmidt: Modern Quilts, Traditional Inspiration, Kaffe Fassett: Simple Shapes, Spectacular Quilts, and Material Obsession! Winner is Lisa! Robert Kaufman Fabrics is offering a copy of the new book, We Love Color, featuring Kona Cottons! Winner is Katie! SeamedUP is offering 3 months of advertising on SeamedUP! Winner is Jeannette! Sew Fresh Fabrics is offering a bundle of A Stitch in Color fat quarters by Malka Dubrawsky! Winner is Sara! Sew, Mama, Sew! is offering a $25 gift certificate! Winner is Sheila! 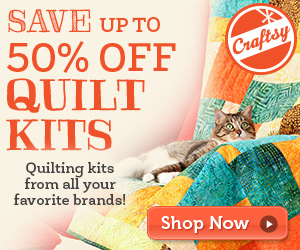 Lark Crafts is offering Fat Quarterly Shape Workshop for Quilters and Pretty in Patchwork: Doll Quilts ! Winner is Colleen! Angie’s Bits ‘n Pieces is offering a 1 year subscription to Angie’s Bits ‘n Pieces! Winner is Barbara! The Quilting Garden is offering a $50 gift certificate! Winner is Erica! From Here to Quilternity is offering a Brandon Mably Design Roll and “Candy is Dandy” quilt pattern! Winner is Kristy! Generation Q is offering a copy of the premier issue of Generation Q mag, and a bundle of fabric! Winner is Pat! Kate of Kate Conklin Designs is offering two sets of five PDF patterns! Winners Marjorie and Susan! If you see your name, click over to see if it’s you! Congratulations to all the winners, be sure to visit our sponsors, and get yourself a prize if you didn’t win. I will email everyone shortly, but it’s the last day of school and Sophia’s birthday, so if you get here first – please email me your address! Congrats to all the winners and thank you so much for hosting a wonderful Festival, Amy! Congratulations to all the winners! It was so much fun participating. Big congratulations to all the winners. The BIGGEST congratulations go to Amy for an outstanding, blow our mind, quilt festival. You have truly out done yourself. Wow!! Thank you Amy and Katie..I love these patterns…I feel so very lucky to have won these. Can’t wait to receive them and see what I can do with them…thank you so much for all the work you guys have put into the festival…beautiful assortment of quiltd. Congratulations to all the winners and a huge thank you Amy for being the hostess with the most-est! Now go take a break Amy…I am sure you need it! What a whrilwind event this has been. Congrats to the winners. I’m so excited – my first win of anything on any blog! And I was so happy to participate for the 3rd time! Thanks again Amy for a great festival! Beautiful event, Amy! Thanks so much for hosting. Congrats to all you lucky winners!! Thank you for all your hard work. I found so many new blogs and ideas that will keep me busy all summer. Thank you to all of you who voted. And a BIG thank you to Amy for hosting this marvellous experience! 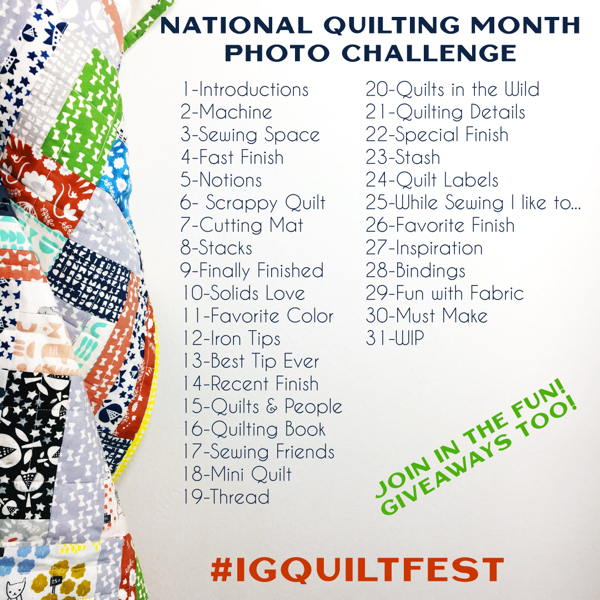 Congratulations to everyone and thanks for sharing all the wonderful quilts! I’m so pleased to have been picked in the random draw to win a package from Riley Blake! Congratulations to all who entered this Festival, and well done to the category winners! Big, huge thank you to Amy for all her hard work! Amy, you are to be congratulated too, for a fantastic effort in hosting this very popular festival. It has been such fun, and I’ve discovered so many more wonderful blogs to read. Thank you! Congratulations to all the winners, and thank you Amy and Sponsors for a great Quilt Festival! Congratulation to all the winners…I am so happy to see those I’ve voted won!! Thanks again for hosting this amazing event…and to everyone that took the time to vote. Congrats to all the winners and I am so thrilled to be one of the winners as well. I’m looking forward to using the beautiful Aurifil thread. A big smile and congratulations to all the winners! It’s been a fantastic festival. Three cheers to Amy for being such a great organiser! Congratulations to all the winners – you all are so deserving. The competition was outstanding – congrats to everyone who entered. 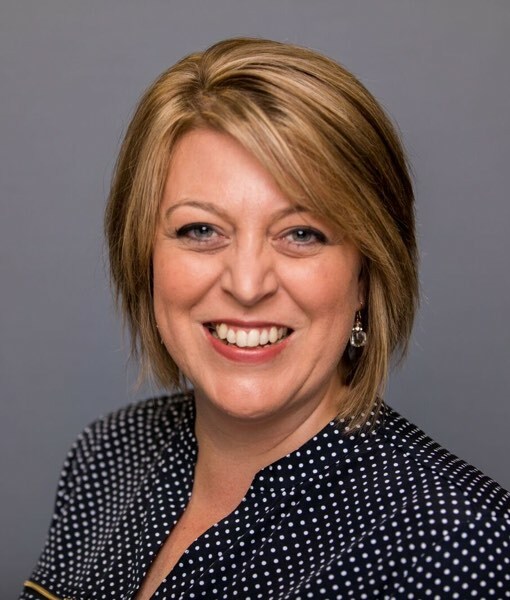 And thank you Amy for hosting – it’s a lot of work and you did an amazing job – Thanks again! This was so much fun! This was my first time participating or even hearing about it so thank you for hosting such a large event! The people and blogs I have learned about were well worth it! The vendor list is fun too actually! I didn’t know about all of them and I appreciate them stepping up to support this festival. 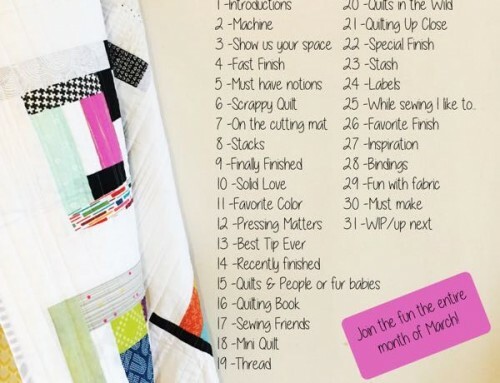 Congrats to all the winners – what fun to see everyone’s quilts! Congrats Winners! Awesome job Amy! Congrats to all the wonderful winners. All the quilts were absolutely awesome. You ladies did a fantastic job. Keep up the truly amazing sewing. Congratulations to all the winners and thank you Amy for another fun festival!! Wow! 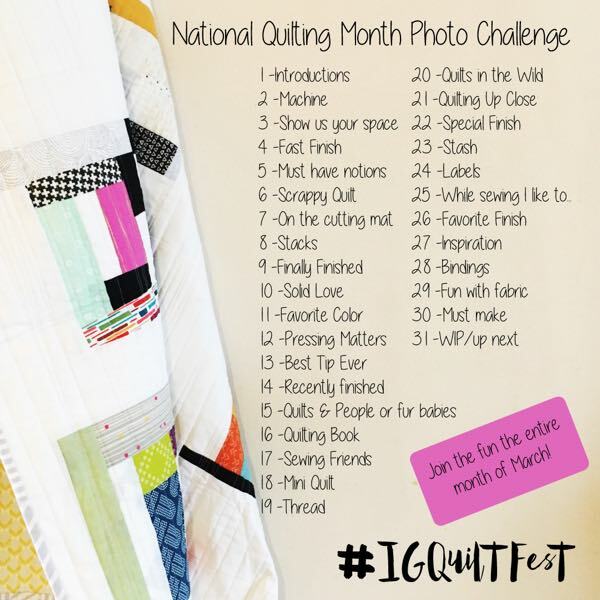 What fun I’ve had (and am still having) looking at all of the gorgeous quilts! Thank you so much, Amy…You deserve a nice little vacation for all of your hard work! And a big Thank You! to From Here To Quilternity who graciously sponsored the random drawing prize that I won! 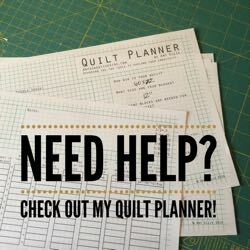 Congratulations to all of those talented quilters who won & to the other “random” winners out there! Congratulations to all the winner! Wonderful quilts all around!